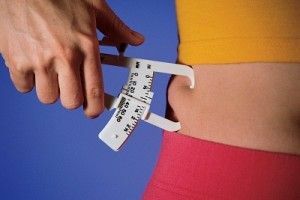 You must be worried about your body weight, so the first thing you should know is how to measure your weight correctly to find out that weather it is normal or not. Check out some health problems related to weight and how to measure them. By the words ‘Healthy weight’ or ‘Perfect weight’ it means proper amount of body fat compared with body mass. It means weather the ration of your weight and height should be equal. It will become possible to live a healthy lifestyle if weight remains under control. On the contrary being over weight or obese increases the fear of various diseases. Over 65% of people in India are suffering from obesity or over weight problems today. Most of them are suffering form heart diseases, uncontrolled blood pressure, type 2 diabetes, arthritis or cancer problems. Scientists believe that the correct way to measure weight is with the help of BMI (body mass index). How to measure Body Mass Index? The International standard for measuring body weight is BMI “Body Mass Index”. For measuring you BMI divide your weight with your height (in inches). It will show weather the weight is normal or greater than normal. According to the health ministry in India normal BMI is less than 23, over weight is greater than 23 and over 25 are considered as suffering from obesity. By remaining alert about your Body Mass Index you can easily keep your weight under control. If you BMI range is healthy then for gaining weight you can take the help of good diet and exercises. According to some researches it is found that if you have over weight problem from very long time then by reducing 5-15 % weight you can again gain a good health as before.